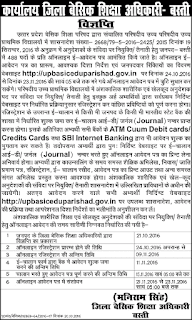 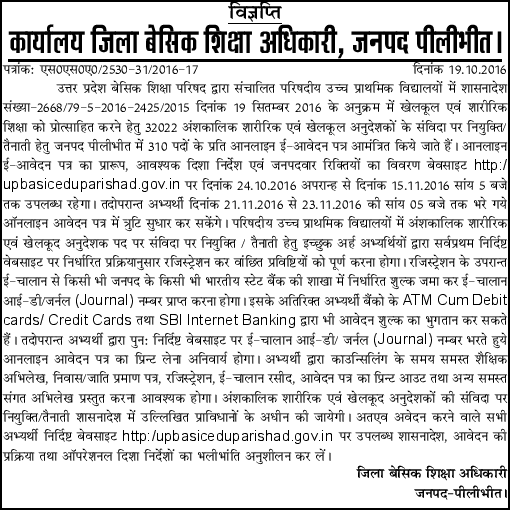 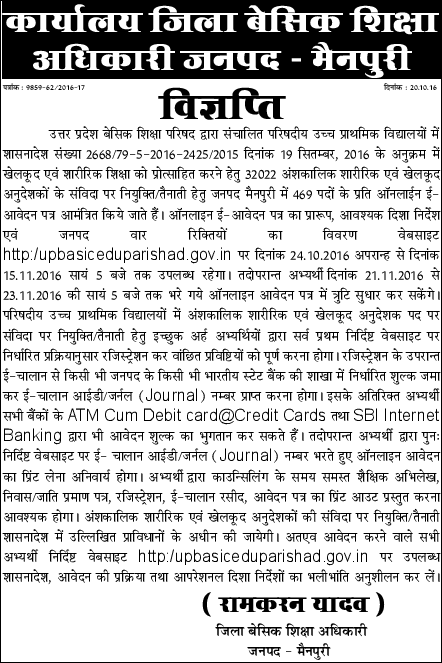 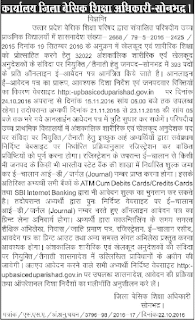 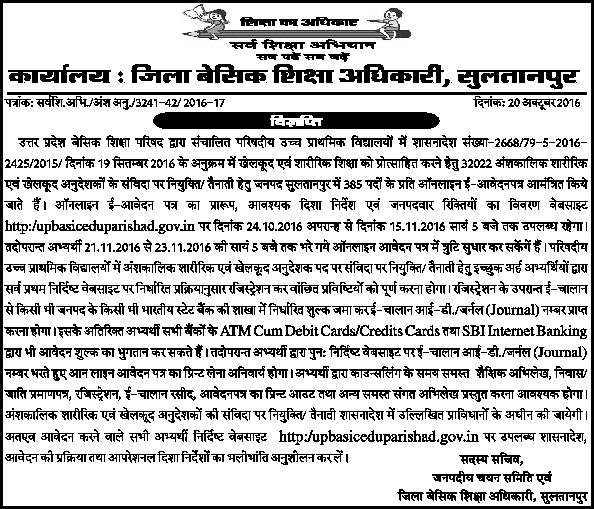 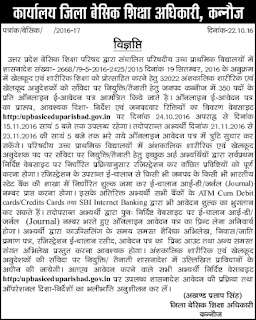 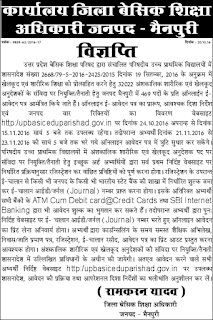 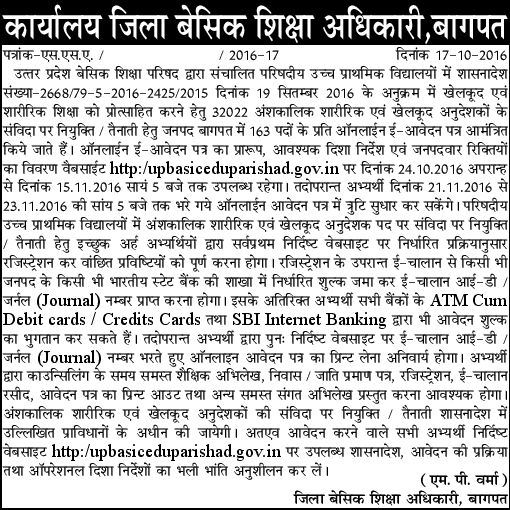 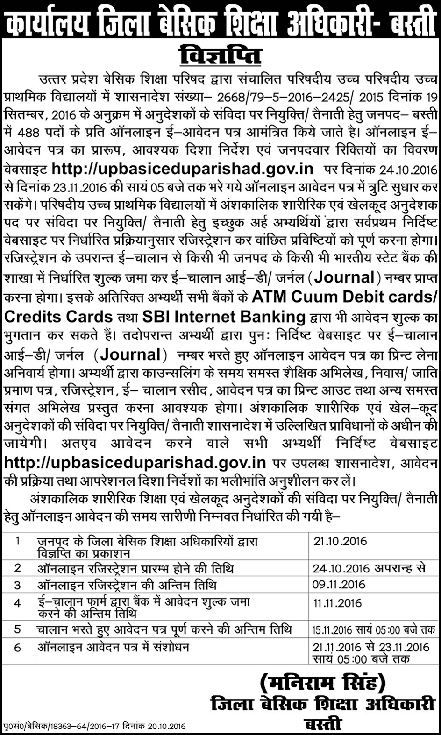 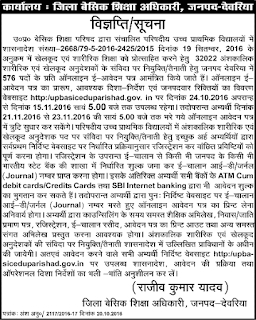 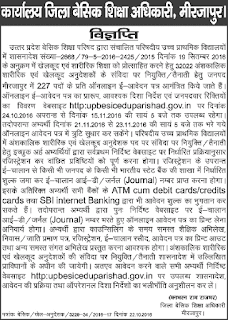 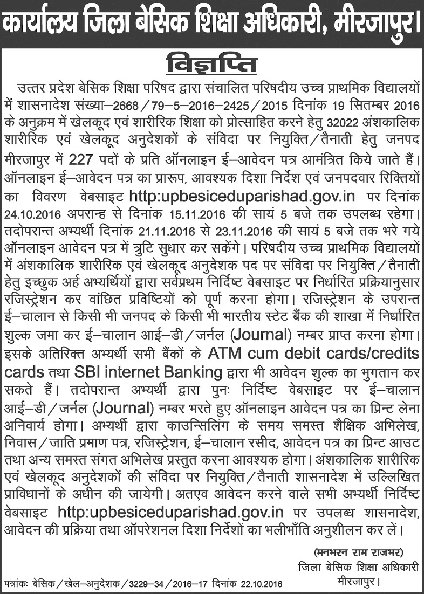 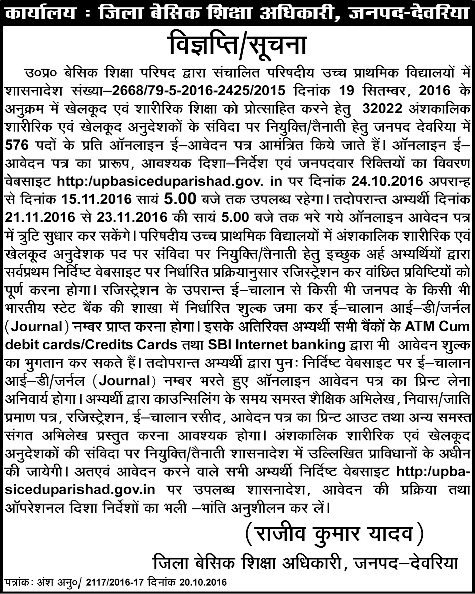 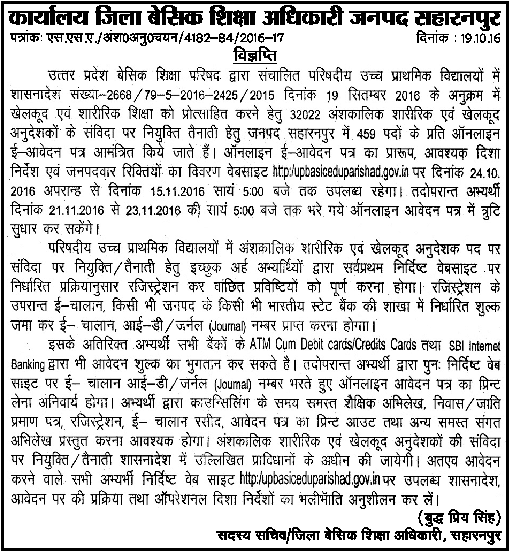 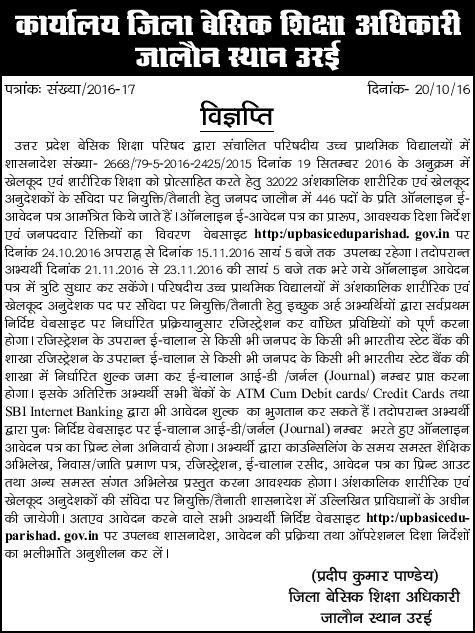 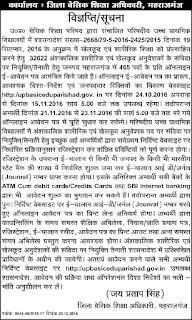 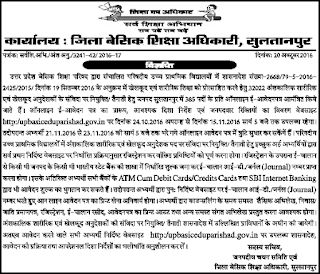 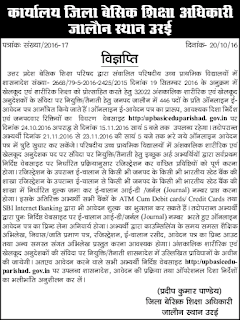 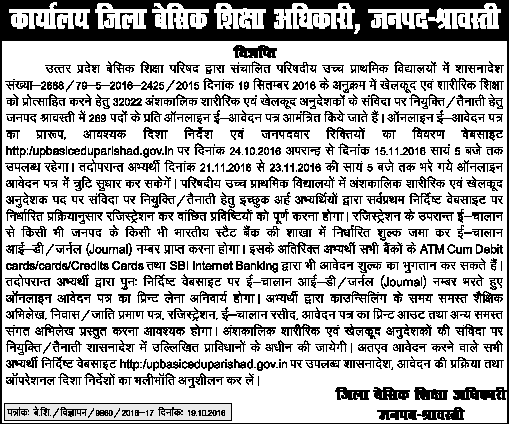 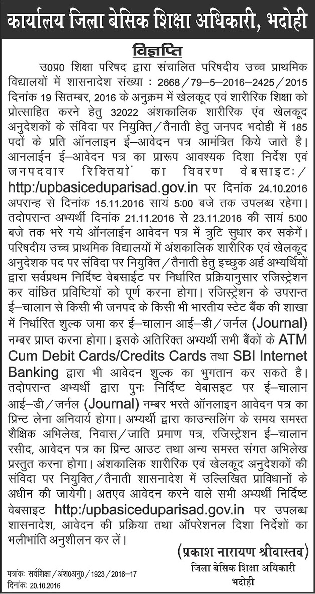 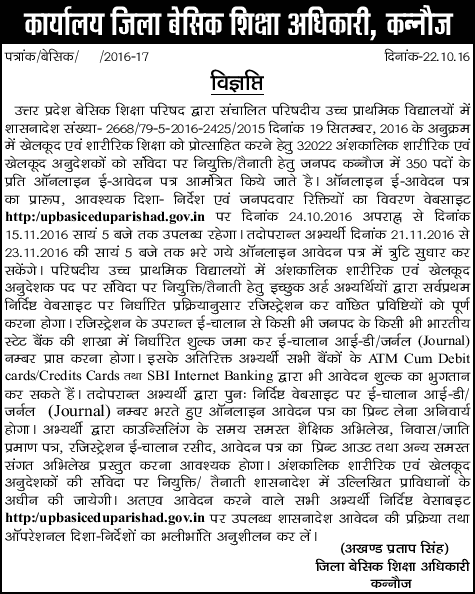 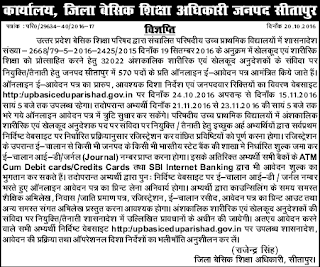 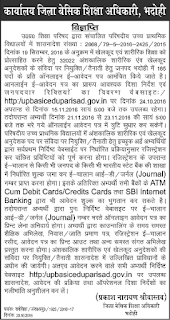 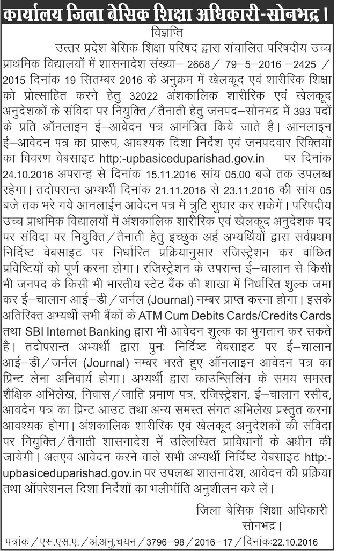 UP Physical Education Instructor Vacancy 2016: UP Government is going to fill 32022 posts of Physical & Sports Instructor (P&SI) / Sharirik avam Khelkud Anudeshak. 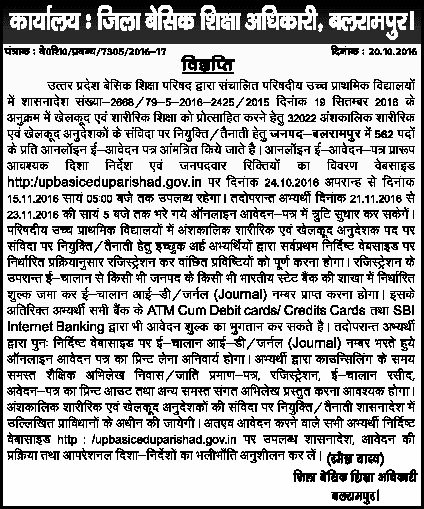 The advertisement for this vacancy had been released on 21 October 2016. 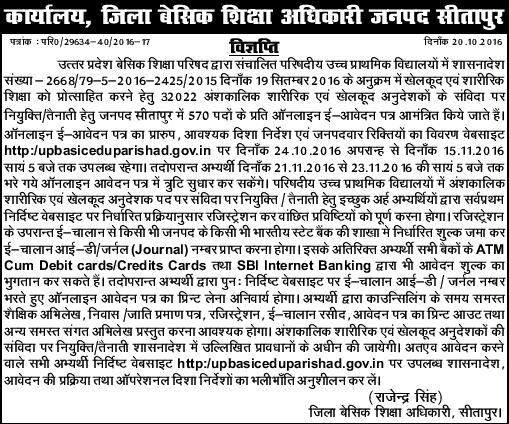 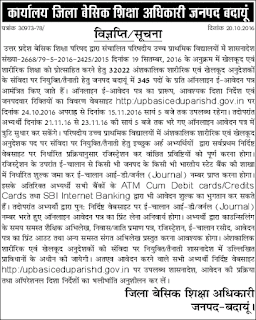 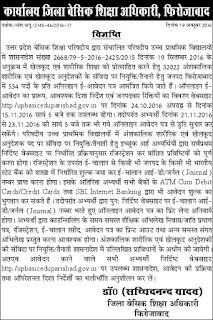 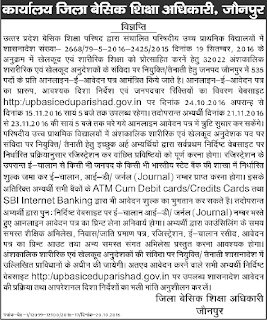 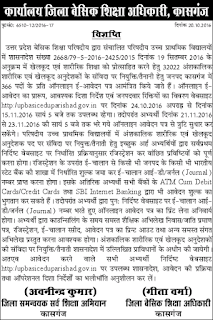 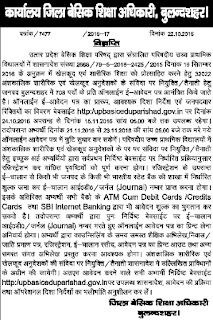 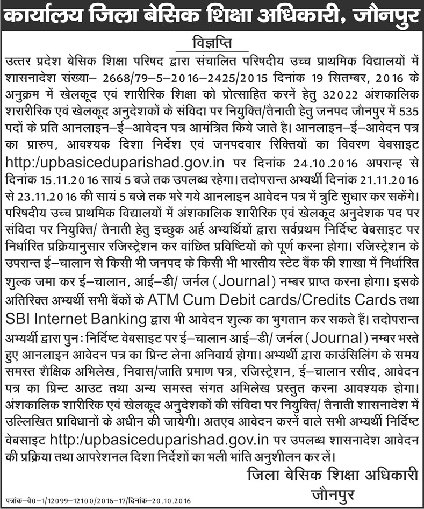 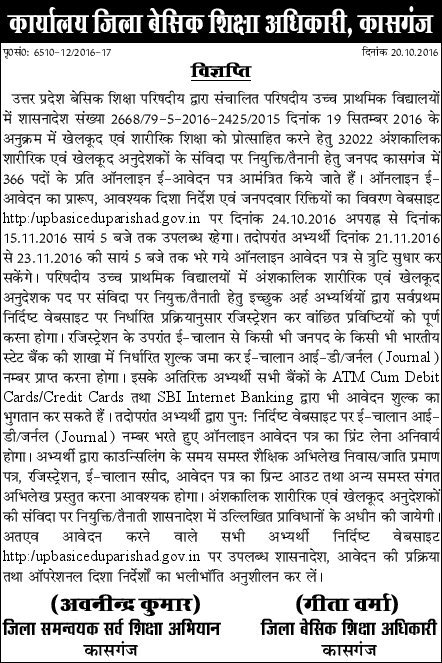 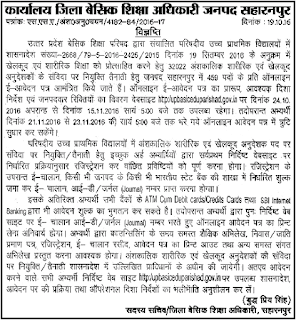 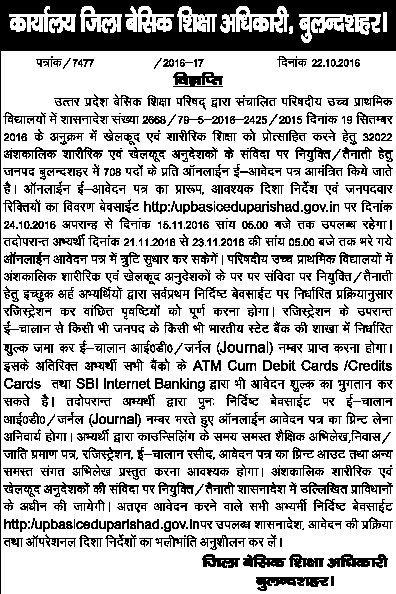 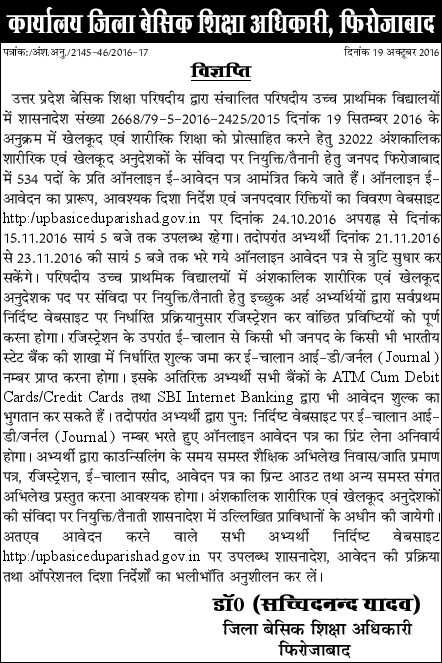 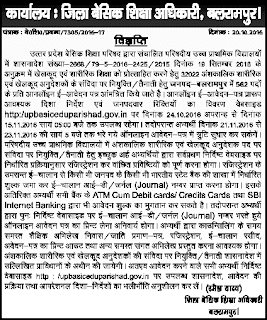 You can check UP instructor vacancy notification 2016 from below. 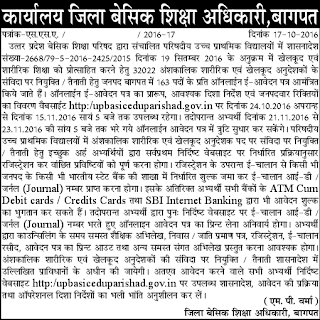 Age Limit as on 01.07.2016: Applicant should have done 21 to 40 years. 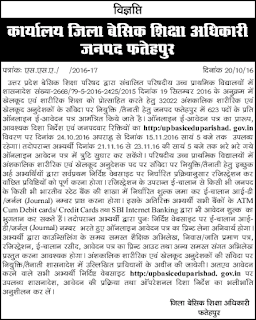 Educational Qualification: Candidate should have done Graduation and Diploma in Physical Education or Degree or its equivalent from a recognized university/institution. 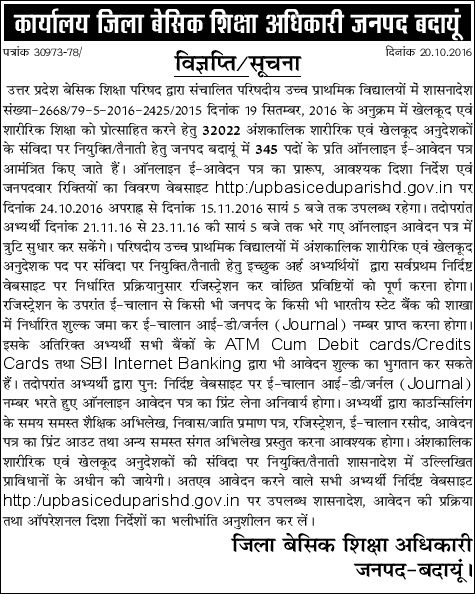 Candidates having B.P.Ed, D.P.Ed & C.P.Ed with Graduation can apply. 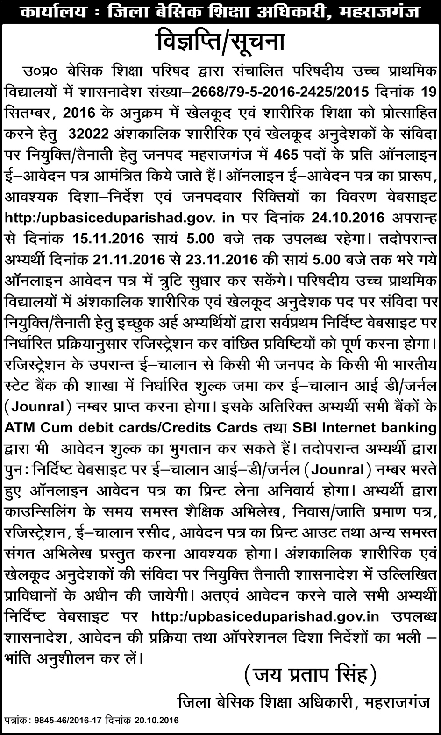 Last date: 15 November, 2016 up to 05:00 pm.